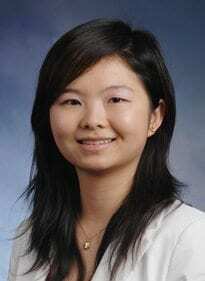 Cathy Yang Liu is an Associate Professor of Public Policy at the Andrew Young School of Policy Studies, Georgia State University. She received her Ph.D. in Urban Planning from the University of Southern California and Master of Public Policy from the University of Chicago. She serves as the faculty director for the Urban Planning and Policy concentration in bachelor, master, and Ph.D. in public policy degree programs and as faculty advisor for the Graduate Certificate in Planning and Economic Development. Dr. Liu conducts research and publishes widely on topics related to community and economic development. She addresses urban policy and economic development issues in the context of changing urban spatial form, demographic dynamics and economic processes. Recent topics include residential mobility patterns, immigrants’ employment outcomes, contingent workforce, the creative economy, ethnic entrepreneurship and immigration policy, as well as urban development and migration issues in China. Her research can be found in journals such as Journal of Policy Analysis and Management, Urban Studies, Journal of Urban Affairs, Journal of Planning Education and Research, Regional Science and Urban Economics, Economic Development Quarterly, among others, and has been supported by the U.S. Department of Housing and Urban Development (HUD), the Lincoln Institute of Land Policy, the Haynes Foundation, the Kauffman Foundation, Regional Studies Association, and Upjohn Institute for Employment Research. Dr. Liu currently serves as a Managing Editor for Journal of Urban Affairs (journal of the Urban Affairs Association), an Associate Editor for Economic Development Quarterly, and an Associate Editor forRegional Studies, Regional Science (journal of the Regional Studies Association). Her personal site is available at https://cathyyangliu.com.